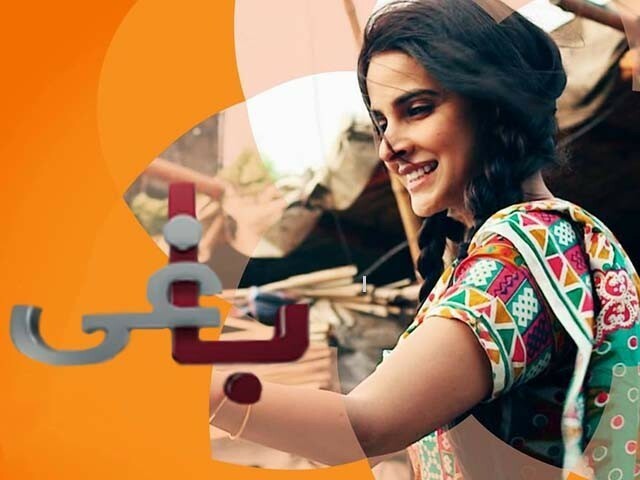 Currently airing on Urdu 1 and starring Saba Qamar, Ali Kazmi, Sarmad Khoosat, Irfan Khoosat, Nadia Afghan and Saba Faisal, is a drama called Baaghi. This drama explores the life of Fouzia Azeem aka Qandeel Baloch, the social media superstar who was murdered by her brother in the name of honour. Qamar plays Fouzia Batool – a sparky, witty woman residing in a small village in Punjab. She’s not your average village damsel; she harasses her harassers and talks back to anyone who dare oppress her. Filled with an inviting antagonism and natural charm, Fouzia’s personality is a firecracker. She dances at weddings and sings Noor Jehan songs. She’s a girl fully aware of her rights and her abilities. She claims she wants to be famous and believes that she’s just equal to any man. What’s interesting about the show is how it reveals more about Fouzia Azeem than her more famous counterpart, Qandeel. It’s more intimate and personal and we really delve deep into the character’s thoughts and surroundings. From the first episode, we can note that Fouzia, the character, is fiercely independent. She dances at a wedding, while both the male and female gaze follows her around in disdain. From her interaction with her mother, we can note that Fouzia’s character has many layers that illustrate her loving nature – making her a magnetic character both in and off screen. Perhaps Abid (Ali Kazmi) will be her undoing – much like it was for real life Qandeel, whose first marriage was abusive. Abid is a shopkeeper near Fouzia’s home who falls in love with her. He gifts her things from Dubai to win her over. Kazmi’s acting is on point, and we too fall for his alluring aura. He, however, is not at the top of Fouzia’s list of problems. It is her brother (Sarmad Khoosat) who wants her to marry his brother-in-law. Khoosat’s acting brings life to the show as well. Props to him for his great execution in the acting and directing departments. Fouzia, however, blatantly refuses the wedding, being witness to her elder sister’s marriage that turned into a complete disaster (her sister is a victim of domestic violence), and says that she is not cattle and will choose her own partner. She picks a fight with her brother’s wife and in turn, her brother slaps her. The slap was resounding – it spoke to the larger social issue of women being unable to voice their opinions. Whether it is something as insignificant as everyday affairs or something as crucial as spending their lives with someone, women’s voices are suppressed and discarded. Many women in Pakistan are killed in the name of honour because they chose to elope or marry someone of their choice. If they are not killed, domestic violence and various other forms of abuse are common in such cases. So when Fouzia claims that she believes she is equal to any man, a strange sense of darkness beckons. The show illustrates the grave situation of women in Pakistan, and highlights that believing you are equal and wanting to be are two very different things. Similarly, while watching Qamar play the role of Qandeel, I shift between heartbreak and awe. Qamar is naturally full of a vivacious energy that fills every scene with life and momentum. Moreover, the screenplay is authentic enough and the inner dynamics of a rural, orthodox household in a small village in Punjab are depicted quite accurately. It leaves you with the unease that is extremely necessary for the drama to make an impact. As far as the drama is concerned, it does remain to be seen how the writers and the team of Baaghi intend to take it forward from when Qandeel becomes a social media success. There is a thin and dangerous line between depicting objectification and straight-up slutshaming. As of now, the criticism is very little, since Fouzia is depicted as a strong girl in a weak home. It will be extremely difficult to successfully depict Fouzia as the girl who was unabashedly herself without showing the negative light that surrounded Qandeel. It is important that Baaghi explores these events not as a justified reaction of society but a brutal and inhumane response by the people. All the negativity that surrounded Qandeel’s life was an accurate example of the inherent misogyny that runs rampant in our society and I hope Baaghi reveals it for its raw and horrible connotations. Qandeel baloch was a southern Punjabi who spoke “Saraiki” which is not understandable by rest of punjabis, Pakistan and India. If the drama had been in saraiki language we would not be able to understand it. Pakistani Punjab has many dialects….. Punjabi (mostly central Punjab) ,saraiki (southern punjab) ,pothowari and pahari (northern punjab), hindko & pashto (western Punjab).